If you’re on the lookout for a simple, no-fail chicken marinade recipe, you’ve found it. Use this for baked or grilled chicken. 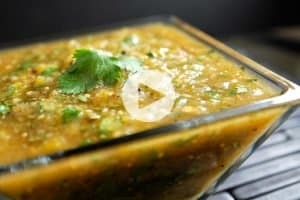 Jump to the Chicken Marinade recipe or watch our quick recipe video showing you how to make it. 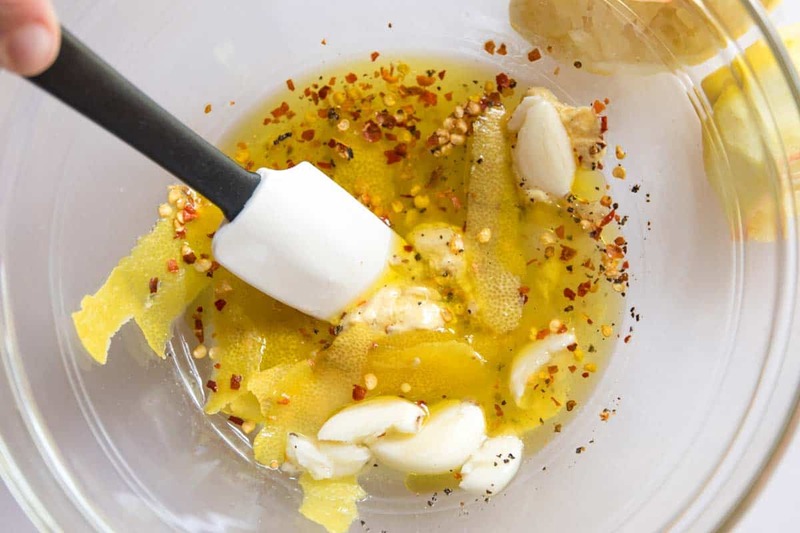 This easy (and healthy) chicken marinade has a tangy combination of lemon, garlic, red pepper flakes and mustard. 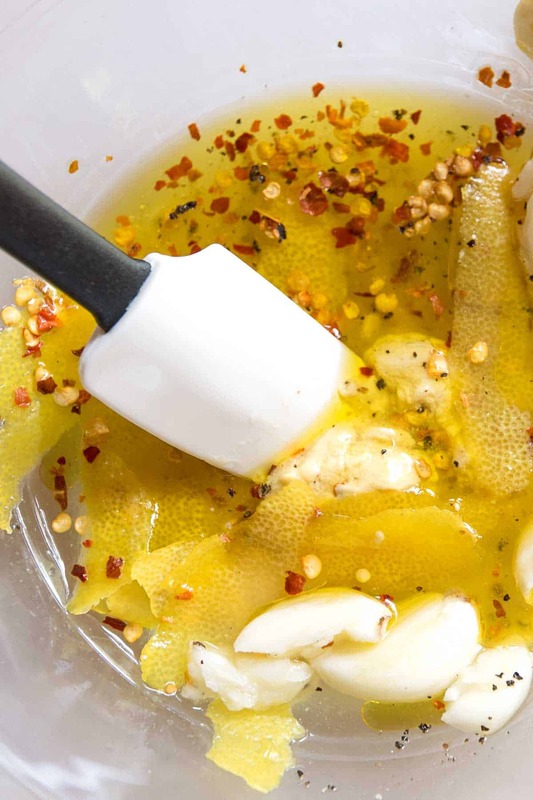 This just might be one of the best marinades, ever. It is perfect for roasted, baked, or grilled chicken and works well for chicken breasts or thighs. 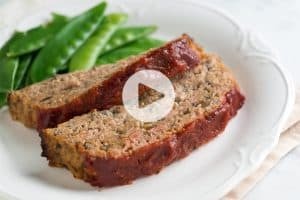 In fact, if you scroll down a little, you’ll see it’s versatile enough to work with turkey, pork, seafood, and vegetables. This flavor combination is one of our favorites — we’re clearly big fans of the lemon-mustard combo, just take a look at our Easy Lemon Chicken Thighs. We use lots of lemon juice, some garlic, and mustard with the chicken thighs. It was this recipe that inspired us to share this marinade. One we’ve used lots of times since then. Here’s another way we love using the marinade. Our Grilled Lemon Garlic Chicken Wings marinate for at least an hour, and then we grill them until tender and brown. They are seriously delicious. This is the Best Chicken Marinade. It Can Even Be Used for Pork, Fish, and Vegetables! The combination of lemon, garlic and mustard is killer with chicken, but this can be used for so much more. Any hearty white fish would love it — think mahi mahi or swordfish — and don’t get me started with how amazing shrimp would be. Vegetables like cauliflower and broccoli would be great, too. Try tossing broccoli in the marinade then grill it. Incredible! You could even turn this into a tangy salad dressing. By reducing the mustard a little and increasing the olive oil, you would have a homemade dressing ready for salad or veggies — we really like the idea of tossing it with some roasted vegetables. 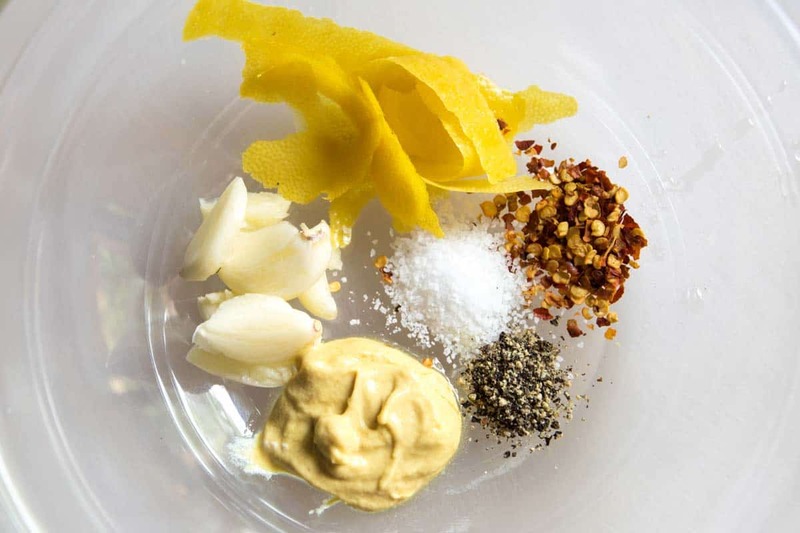 Check out our recipe below for how to transform the marinade into a dressing. You May Also Like the marinade that we used to make our Lemony Chicken Breasts paired with a Cucumber and Feta Salad. It’s very similar to this, but without the mustard. The salad is also incredibly good! This just might be the best chicken marinade, ever. It’s incredibly versatile. Use for marinating chicken, turkey, pork, fish, shrimp, tofu or vegetables. When marinating meats and poultry, marinate at least 1 hour or overnight. When marinating something more delicate like fish, you only need to marinate 1 to 2 hours. You can also use this to baste while cooking or grilling, if you plan to do this, simply set a portion of the prepared marinade aside for basting. Whisk lemon juice, olive oil, mustard, salt, red pepper flakes and black pepper together until the salt has dissolved. Stir in the garlic, lemon zest and herbs (if using). Refrigerate and use within 1 to 2 hours. To transform into a salad dressing: To turn this into a tangy dressing, perfect for roasted or raw vegetables, increase the olive oil to 1/4 cup and whisk until blended. Refrigerate for 1 hour then discard garlic and lemon zest. 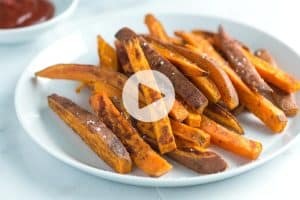 Taste for seasoning and adjust with salt or add a sprinkle of sugar or a little honey to balance acidity and the mustard. Made this marinade tonight with only 2 garlic cloves as they were huge in size and cooked in heavy pan with butterflied chicken breast after marinating for 1.5 hours. Simply divine! thankyou. This marinade is simply delicious! I live in a no-salt household, which resulted in the general consensus that this recipe uses WAY too much salt. Next time I make this I’ll be omitting the salt. I also substituted fresh dill for dried, and cut the amount in half and it worked out well. I imagine it would taste much better with fresh dill, and as a vinaigrette for salad. Hi, How many pounds of chicken or fish can I use for this marinade. I’m definitely gonna try this. Thanks. Hi there, I’d assume that you could marinate at least 2 pounds if you needed to. Great marinade – so delicious! I am pre-diabetic so I am trying to follow a low-carb diet. Most marinades involve sugar in some form or another but this one is blissfully low-carb and sugar-free as well as just generally healthy. The whole family loves this one so it is a win-win. Thank you!